Oliver Queen on Google+ made 22 mini-PDFs for Star Frontier species with stats converted to Star Wars D6. I invited him to post them here in a single thread or produce a single combo-PDF I could host in the Pit Library, but he declined suggesting I should just post 22 links to G+. Not only is it difficult to find things on G+ (most of these do not come up in a search for star frontiers), but another problem is, even if I found them all, they would all be dead links in less than a year anyway. So here are Google Doc links to the three PDFs for the core player alien species. These links could change too, but Google+ will definitely disappear while these links might not change if the owner doesn't change them. Here is a direct link to Star Wars D6 Roleplaying Game community ran by Oliver Queen. I don't have time to hunt the remaining 19 species down. 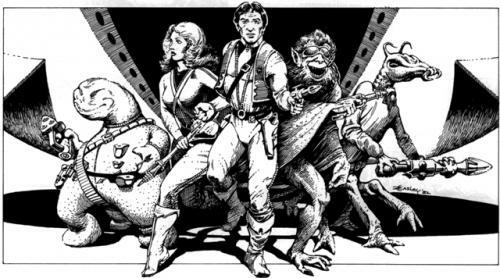 And I am not going to host a bunch of individual mini-PDFs on the Rancor Pit Library, but if anyone wants to compile them all into a new single PDF then please feel free so I could then put that up on the Library. Thanks. Thanks for the link! Just curious if anyone here ever played this game? I remember seeing ads for it, but don't recall seeing it in any comic shops at the time. If I recall correctly it was one of the last TSR products. Here is the all-in-one file. Just curious if anyone here ever played this game? Yep, I owned it and played it. It was a percentage-based attribute/skill system that only used d10s. The core of my early to mid-80s gaming group was myself and two brothers. The three of us took turns being GM (but mostly myself and the younger brother). We mostly played D&D, but we would take breaks to play other games. We had a handful of TSR games besides D&D/AD&D, such as Star Frontiers, Indiana Jones, Marvel Superheroes, Top Secret, and Boothill. I wish I still had all those games. I remember seeing ads for it, but don't recall seeing it in any comic shops at the time. If I recall correctly it was one of the last TSR products. Not even close. Star Frontiers came out in 1982. I added the image of the main box set cover to the OP of this thread. They were included in the D20 Future variant of WotC's D20 Modern. I think just the SF core races were adapted to d20 Future, but the SF setting wasn't included. Wha?! Not even heard of it? It was a neat setting with some cool aliens, but the game system wasn't spectacular. It was my first officially published sci-fi RPG - My group didn't play it until 1983, after the homebrew Star Wars game we made that year. Many years ago WotC (the current owner of TSR properties), released most of the SF gameline digitally for free use by fans (likely they just officially sanctioned existing bootlegs). I nabbed a bunch of it out of nostalgia. Now it seems they have pulled back permissions on some or all of it so they could sell them digitally and print-on-demand. 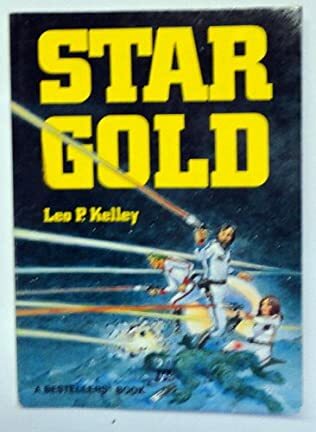 I never did read Star Gold. I think it was published way back in 1950 or something. I suppose I should make time for it someday. I bought the two boxed sets second hand in the mid-90s and played a few sessions. It was originally published in the early 80s and largely seen as an answer to GDW's Traveller as it tried to cover some of the same game types. The rules are pretty straight forward and it's a very playable game. It did not have a very deep library though, all told there were about a dozen supplements and two boxed sets. 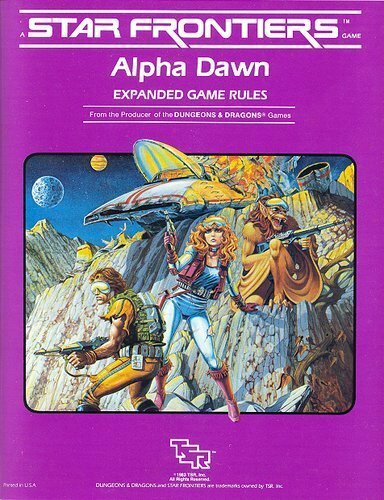 Alpha Dawn was the main on the ground game where starships were an off-camera fast travel while Knight Hawks was rules for ship-based adventuring. Outside of the published supplements were some Dragon articles. The setting was unironic silver spandex sci-fi. I always pictured things as Battlestar Galactica crosses with Space:1999 with a little bit of Star Trek or Forbidden Planet (big nominally benign Federation). I liked the campy sci-fi (I own all the Buck Rogers XXVc books) but it was at times hard to get my friends interested in the game. The whole kit and kaboodle is available on DTRPG. I think WotC changed their terms with their trademarks with fan creations when they started selling PDFs so a lot of the formerly free (legal) scans of the official books are no longer available. I haven't really kept up on it over the past few months though. So tl;dr it's a ok game and good but not super deep setting. There's enough to be a starter for a GM with time to homebrew deeper details. The rules aren't anything really special but the aliens are at least fairly interesting not merely rubber forehead aliens. The Sathar are enigmatic enemies from beyond the frontier and can make for a good mystery. I loved the Battlestar Galactica and Buck Rogers TV shows, but I was in elementary school at the time. I didn't play Star Frontiers until I was in junior high, but even then, if the 'silver spandex' quality had been ironic the irony may have been lost on me anyway. I remember liking the SF setting a lot as a sixth grader, but I don't remember why we didn't play it more. Out of nostalgia, the setting exists in some form in my SWU (in a satellite galaxy). I have had members of the three core PC alien races appear as background characters in my game before.